To provide premium in-home care services to enhance the living quality of seniors and disabled as well as their family members. Quality: We strive to be the industry standard of best quality home care. This is accomplished by hiring, training and retaining highly qualified caregivers. Flexibility: We provide a flexible service menu and schedule to accommodate a variety of home care needs and fulfill the individual needs of every client. Integrity: We will maintain the utmost respect and honesty with our clients, employees, and community. StarLight CareGivers is an independently owned small business located on the San Francisco Peninsula and is deeply honored for the opportunity to work with seniors and the disabled in our community. We strive to deliver client-centered care and understand that our ultimate success is dependent upon client satisfaction and delivering high-quality home care. StarLight CareGivers provides a premium home care service backed by the best-of-the-best CareGivers. We provide free in-home assessment interviews which give us a clear understanding of our client's lifestyle and personality. We then develop a caregiver plan and match caregivers to the specific needs of a client. Our caregivers are background checked, insured and bonded. We differentiate from other home care services by selecting only the best caregivers, and that means roughly 5% of applicants are hired. A rigorous 12 step interview process focuses on both personality and qualifications combined. We offer modern technology to keep everyone involved including a web-based portal where clients and their family have access to the service records. This portal is also accessible by doctors with the client's authorization. This service helps doctors and family look for any unusual conditions and act quickly. Home care is a really unique service, and most people know nothing about it until the last minute when they are under great stress to find a high quality solution, and really fast, for a loved one or for themselves. A dizzying list of options are suddenly presented by a discharge nurse; or maybe your mom or dad finally confess some help is long overdue; or an accident serves as a wake-up call that you cannot do it alone. 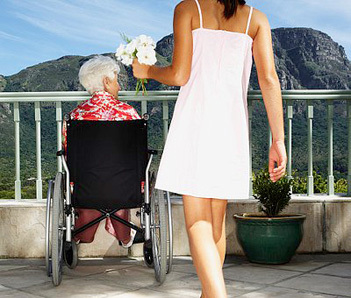 Sometimes this loved one lives in another city or state and you simply cannot be there to help, after all, with this fast paced life and lifestyle that we all face, with the whole family working long hours to make ends meet, a loving and talented CareGiver in the home can make all the difference in the world. Duanni Hurd is the co-founder, President and CEO of StarLight CareGivers and a licensed Geriatric Care Manager. She is originally from Beijing, China where she graduated college, and then obtained her Master's Degree in Communication from the University of Arizona. Duanni spent over a dozen year's as a sales professional with major technology companies before stepping aside to pursue her passion of servicing the vulnerable. She is also a highly trained and certified yoga and fitness instructor and thoroughly enjoys working with others on these healthy activities. Duanni champions a donation-based yoga clinic every Saturday morning in Los Altos with all proceeds benefiting the Alzheimer s Association. She is also a proactive member of the Los Altos Rotary club where she sits on multiple boards serving the community. David Hurd is StarLight CareGivers co-founder and CMO and is originally from Green Bay, Wisconsin. David began his career as a creative consultant for a major software company in San Jose before spending the last 20 years directing the communication departments of several public semiconductor companies. We became inspired to participate in this industry due to our own experience with aging grandparents, and our own parents growing older while very far away from us. Our demanding work schedule and distance have prevented us from caring for our aging family members but we have been lucky to have a supportive family network nearby. Duanni's grandfather, lived to 103 years old, due in large part to loving family caregivers surrounding him over the years. David's grandparents lived well into their late 90s due in large part to helpful family caregivers in the home. Others may not be so lucky. We have seen friends and colleagues forced to leave the workforce or greatly reduce working hours to care for aging parents. We are inspired to provide respite and care services for their loved ones so working professionals don't have to bear the burden alone.